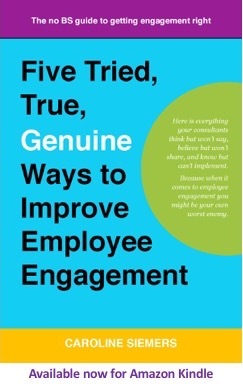 Are your employees just not that into you? Are you investing hundreds of hours and significant dollars trying to get them to pay attention, commit, be a partner, give you their all? And getting very little back? I’d like to say it’s not you, it’s them, but it’s actually both you and them. The fact is, far too few people love what they do, and far too many actively loathe it. For most of us, work will be one of the longest relationships in our lives. And, for many of us, it will be one of the most dysfunctional. These relationships with work, while personal to the individual, have dramatic effects on coworkers, customers, engagement, and employers (culture and reputation). Corplandia is a communications agency that specializes in making the relationship between employees and employers healthy, functional, and productive. Learn more about our consulting approach and how we might help you.